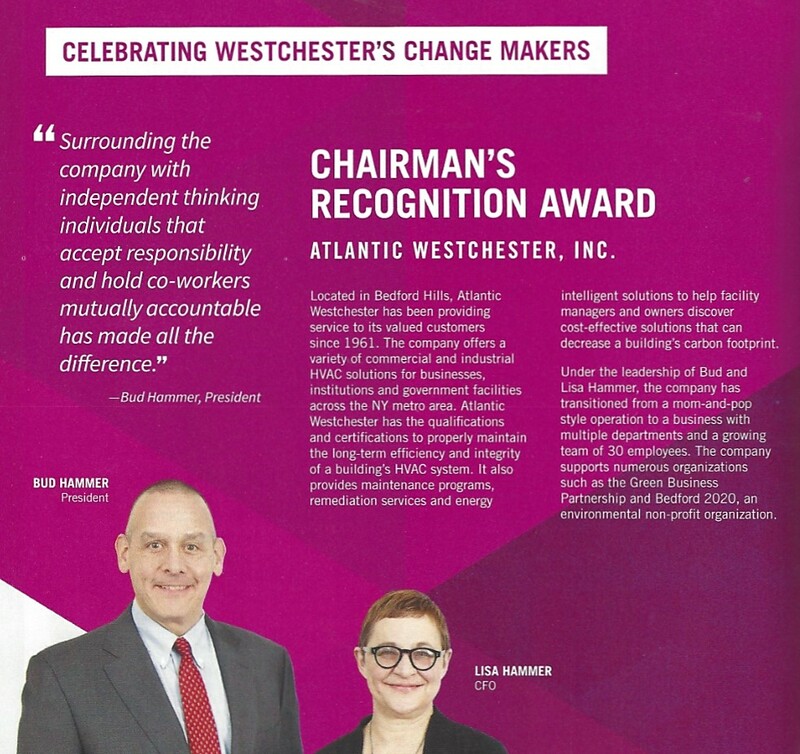 Congratulations to our client, Atlantic Westchester, who was recently named a Hall of Fame winner from The Business Council of Westchester! Located in Bedford Hills, NY, Atlantic Westchester has been providing service to its valued customers since 1961. Atlantic Westchester offers a variety of commercial/industrial HVAC solutions for businesses, institutions and government facilities across the NY Metro Area. Atlantic Westchester has the experience, qualifications and industry certifications to properly maintain the long-term efficiency and integrity of HVAC systems. We look forward to celebrating with everyone at the awards ceremony on April 24 at Glen Island Harbour Club in New Rochelle!